Video podcasting requires a lot of different gear from audio podcasting. 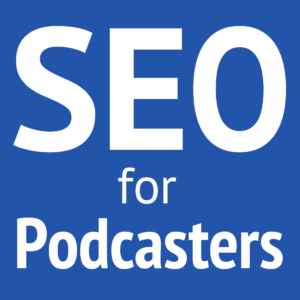 Consider the following 7 categories of podcasting equipment for a video podcast. Audio is the most important part of video. Thus, you need a microphone close to your voice in order for your message to be heard. Most audio podcasting microphones won't work well for video because they're too big and distracting in the shot. However, you can sometimes frame your shot tight enough that you can use a studio microphone just barely out of frame. Here's an example where I've done that. The best kind of microphone for video is something that's small, not distracting, or completely invisible. Typically, that leaves you with the following options. Lavaliere microphone—This clips on your clothing but can sometimes be hidden in a hat, a color, hair, or underneath clothing. A lav mic usually allows for free arm movement, but it may be susceptible to clothing noise or decreased pickup when you turn your head. Headset microphone—Not the kind of cheap headset mic and headphones you typically see gamers wearing, but a professional mic-only headset. You see these often used by public speakers. They're small, keep the mic always the right distance from your voice, but can be visible and distracting in videos. Shotgun microphone—This is usually a very long microphone that would be mounted out of frame, usually above or below the talent. This is the kind of mic you typically see in professional filming with a boom arm and assistant. This mic stays in one place (unless you have an assistant to follow you), is out of frame, and picks up a very narrow cone of audio. These produce great quality but can be expensive. Handheld microphone—In noisy environments, or when you need to interview someone at an event, a handheld microphone is often the best choice. This does a great job of reducing background noise and focusing more on your voice, all with very little setup. It's great for interviewing, too, because you can control the conversation by holding onto the mic and pointing it at whom you want to speak. Make sure you get a mic designed for this use, so it will have minimal handling noise. Condenser microphone—Although condenser microphones are not ideal for most audio podcasters, they could be great for video! Listen to how well a condenser microphone works for Rhett and Link's Good Mythical Morning on YouTube. This kind of microphone would usually be in the frame, but could be nicely decorated to be part of your set. This would definitely record some post-processing. The worst microphone you could use would be the microphone on your camera. That is not only a cheap microphone, but it's also usually so far away from your voice that it would pick up a lot of background noise and reverb. This is the easiest method to use, but it could be cumbersome or expensive. As long as your connection produces no latency in the audio, your video editing will be easy because the audio is recorded straight into the video. A wired system may have to rely on the camera's built-in preamp, which is usually not very good. But you could use a recorder or mixer with a preamp between your mic and the camera. Or, consider a wireless system, like the Røde RØDELink Filmmaker Kit or RØDELink Newsshooter Kit (not yet available). Both of these are digital wireless systems. This allows you to wear or hold the microphone and maintain full freedom of motion. If you're on a budget, then consider recording your audio and video separately. This can sometimes produce even better audio quality because you don't have to rely on the camera's preamps at all. Connect your mic to a portable audio recording (or even your smartphone) and start your video and audio recordings simultaneously. 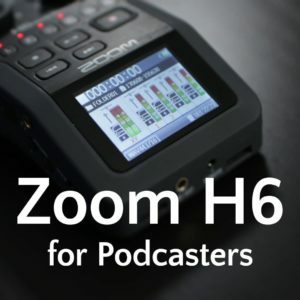 Consider a Zoom H1 for a small recorder. Record a snap or clap (ensure it's close to the camera mic) as a synchronization point, and then start your content. In post-production with your video editing software, align the spikes of the snap or clap from your camera audio track and separate audio track, then mute or delete your camera's audio. To ensure this works without audio drifting, put your audio recorder and camera in the same recording rate (usually 48 KHz). This is how I've recorded most of my videos. Here are a couple examples. In this video for International Podcast Day, I used a couple lav mics (that I tried to hide. This video from NAB Show 2015 shows that I was recording my handheld microphone with a cable to a Zoom H5, but I'm also talking with TASCAM their DR-10X plug-on recorder for XLR mics. Good lighting is the second most important part of quality video. Great lighting can make even a cheap camera look good. This is because a well-lit scene doesn't require the camera to work so hard to expose everything. For example, watch this video I recorded from a webcam (Logitech C920) and see the huge difference the lighting makes. Lighting doesn't have to be expensive. There are two cheap kits I recommend, both under $170: one with two softboxes and an overhead light (3,800 watts) (my kit), and the other with three softboxes (4,500 watts). Key light: bright light from the front, angled from either left or right. Fill light: dimmer light for fill-in from the front, angled from the opposite side as the strong light. (Optional) Rim light: usually an overhead and rear light, from an angle, that helps separate the subject from the background. Ideally on the same size as the fill light, but shining from the back. Now, we come to the camera. This is often the first thing people think about when wanting a quality video, but remember that audio and lighting are more important. I recommend that you camera capture, at a minimum, 1,280 × 720 (720p) at either 24 or 30 frames per second (FPS). Some cameras may capture at higher resolutions, but at a sacrifice in other ways. For example, 720p will always look better than 1080i. And some features, such as image stabilization, might not work as well at 4K as it would at 1080p. Higher frame rates (like 60 FPS or more) are usually only necessary if you want to make slow-motion videos. If you want to record the audio from your mic into camera (via cable or wireless system), then ensure your camera has an audio input and turn its gain all the way down. It's better to let a wireless system or other interface handle the preamp for your mic. But if your mic is connected directly to the camera, then set the input gain where necessary. Generally, the larger a camera's sensor, the better the image quality will be. It's not a matter of megapixels, but how well the pixels are captured. For example. a DSLR often gets great video because of its sensor that is tens or hundreds of times larger than a smartphone's sensor. Another factor for beautiful video is the aperture of the camera. This is how much light the camera lets in by opening its aperture. The “f/2.0” number indicates how closed the aperture is. Thus, f/1.4 is open wide while f/6.0 is more closed. In addition to letting in more light, an open aperture also creates more depth of field, where the background is in less focus compared to the foreground. There are, currently, four different types of cameras you could consider. Here they are, in my order of recommendation. Camcorder—A dedicated, HD digital video camera that captures or SD cards or other digital storage. This will allow you to record for as long as you have available storage. You may not have interchangeable lenses or the full depth of field that a DSLR would provide, but these are often compact, flexible, and affordable. DSLR or mirrorless camera—These cameras are usually focused on photography, and USA import laws prevent them from recording longer than 29 minutes and 59 seconds. Smartphone camera—Cameras in mobile devices are becoming smarter and better quality. But so many improvements have been made in the last several years that I don't recommend relying on a smartphone camera older than 3 years old. The right recording app on your smartphone could make your videos a lot better. Webcam—Although not always ideal, versatile, or portable, an HD webcam can still look good with decent lighting. Learn how to use your webcam software (or buy additional software) to control the exposure and white balance. Also ensure the camera is at a flattering angle for your videos. You may even want to consider getting multiple cameras to be able to switch live or in post-production. This can help cover up editing points, make things easier to see, or simply look a lot more interesting and professional. Think about everything visible to the camera and how it looks for your studio set. Ceiling fans, doors, windows, clutter, pets, people, rooms, and more can make a video look extremely amateurish. The background should never compete with the subjects for the viewer's attention. But it's also okay for the background to contain interesting lighting and props (that's where depth of field can blur the background to make it look great). You could create a background with props, or consider a solid-colored background with a colored backdrop. Or, record in front of a chromakey green screen to add your own background or virtual set. But that kind of effect can very easily look cheap if you're not skilled with the software. As with ideal audio podcasting equipment, there are some accessories you should consider for your video studio. If you want to live-stream your video, then that adds all kinds of new complexity. Video live-streaming requires a lot of bandwidth and computing power. 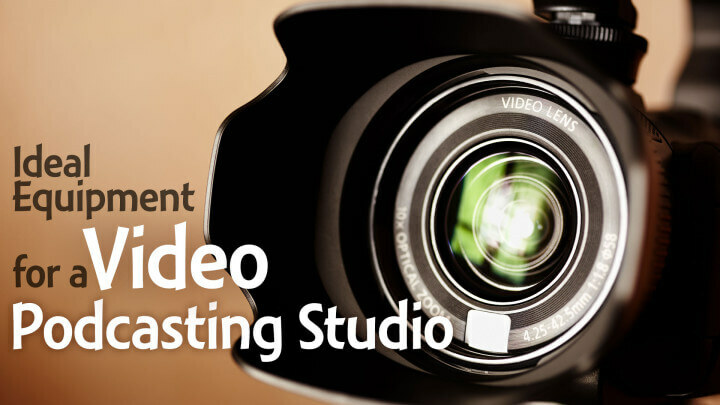 For live-streams more professional that using webcams, you'll have to think about HDMI or SDI capture interfaces for your PC, live-streaming software (such as Wirecast, vMix HD, and such). You may need video-switching capability in addition to on-screen displays, like lower thirds. Stepping up to this newscaster level of live quality can easily start to cost a few thousand dollars and may even require an assistant to run things for you. But the results can look amazing and then require little to no editing in post production. 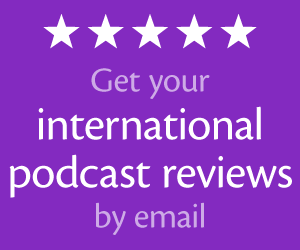 I'm confident that my recommendations will help you launch or improve your podcasting studio, but I can't promise this will cover all of your needs or possible scenarios. Thus, if you need more help than I could provide in these episodes, please consider scheduling a one-on-one consulting session with me. Best video hosting platform for video podcast? Any recommendations for camcorders? I see you have recommendations for everything other than camcorders? I’m looking for something for video interviews across a coffee table. If you need high-quality green screen video, I advise you to check this site – green screen stock ! You will like it, good luck!